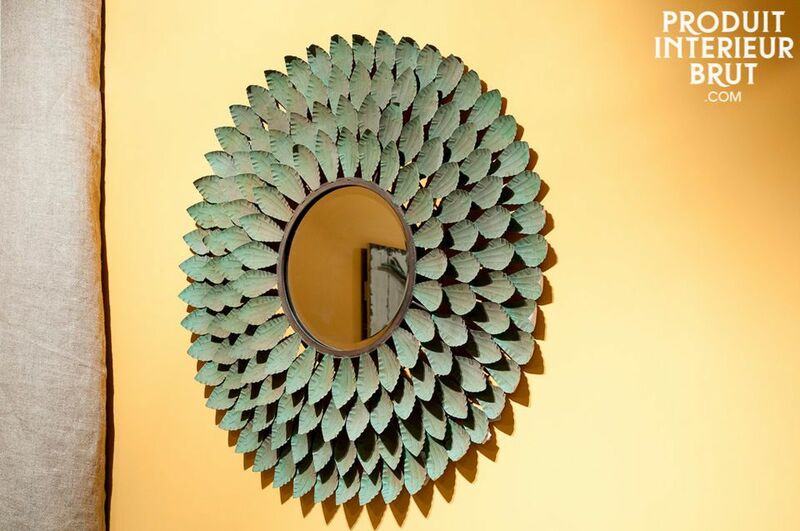 Surrounded by its crown of metal, round mirror will dress up a wall with its large dimensions, whether in a living room, a bedroom or hallway. 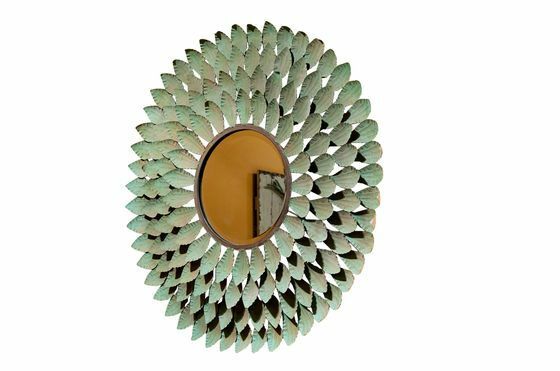 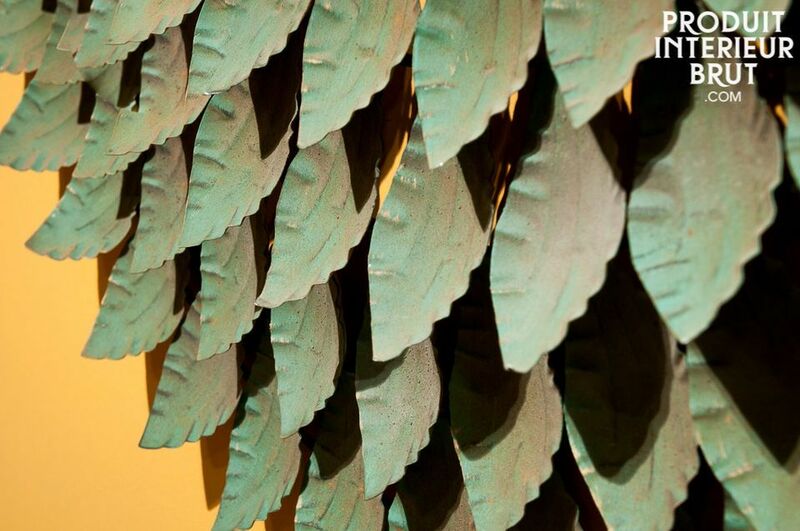 It also doubles its effects with 4 layers of petals 100% metal, the matte and nonuniform painting gives its vintage spirit. 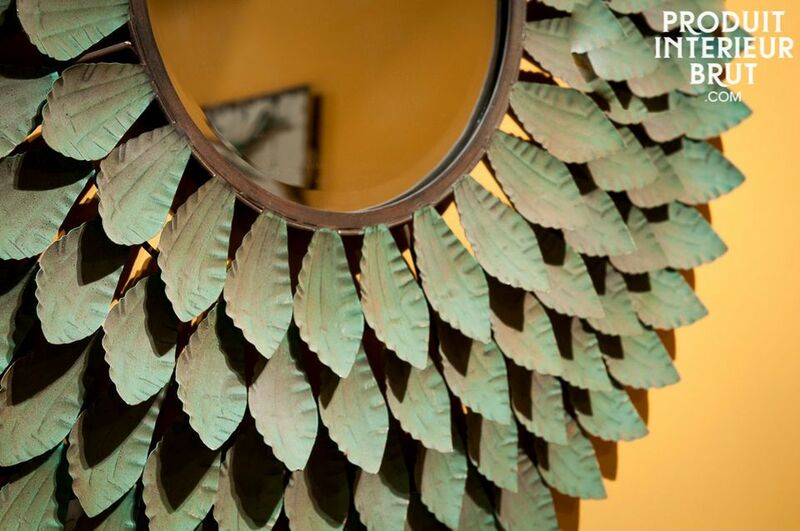 We will particularly appreciate the care brought to the finishing of this mirror design with its beautifully pleated sheets covered with multiple layers of different paints, and slightly beveled glass.